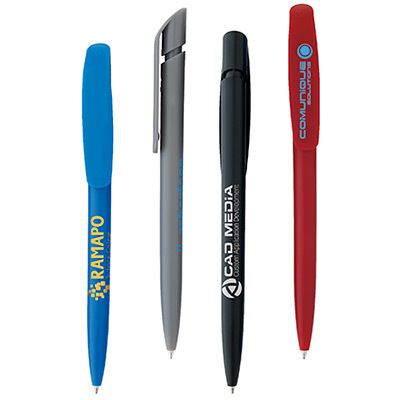 An upgrade from the old Bic Message Pen, we bring you the customized BIC WideBody pen. 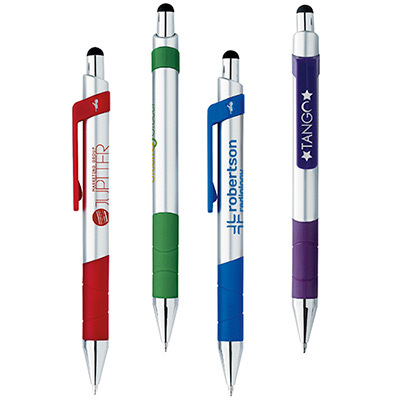 The promotional advertising products specialty pens have a wider display on the body to showcase whatever message you want. 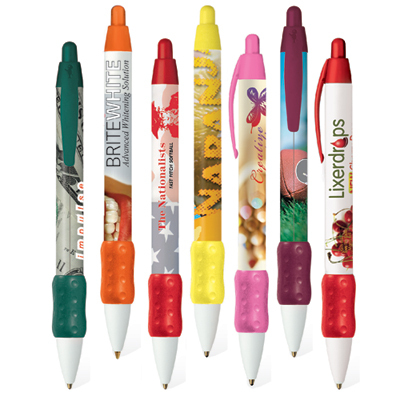 The white barrel offsets the bright colored grip and clip beautifully. 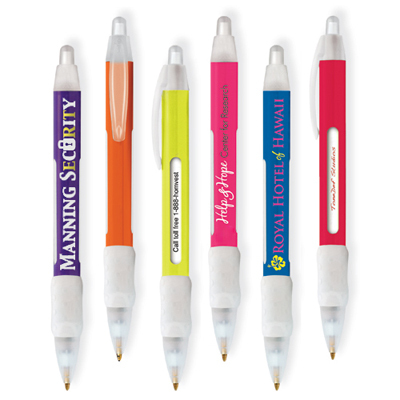 Get your promotional specialty pens today! You will surely impress the person you give it to. "Appreciate the design and dimpled grip. Good logo job. " 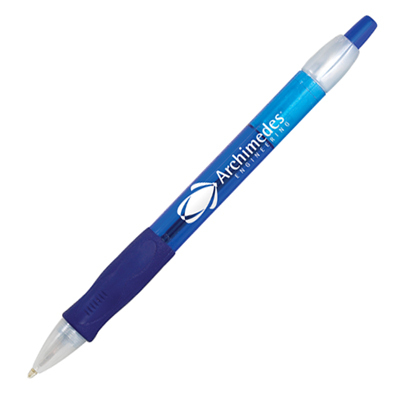 Rotating tube with your six messages.